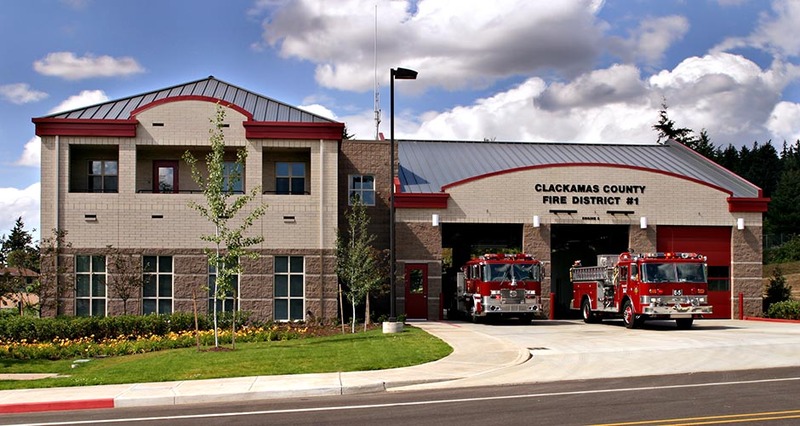 This 12,000 SF, two-story facility houses two coed battalion crews. The simple and clear floor plan creates efficient divisions to form three distinct zones: the apparatus bay, living quarters, and public areas. These three zones have been used to establish three different volumes, breaking the building into smaller masses, a more interesting shape, and a human scale. 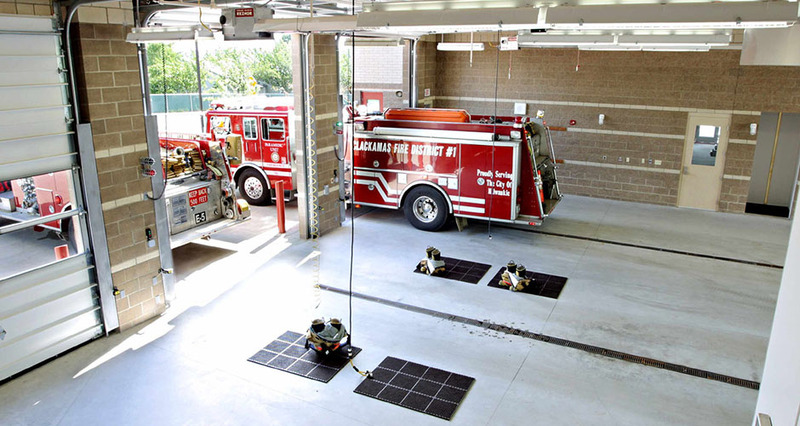 The apparatus area includes two drive-through bays and a half bay for a future battalion chief vehicle. Semi-private bunkrooms with locker facilities, a day room with balcony, and an exercise room provide accommodations for 10 crew members. 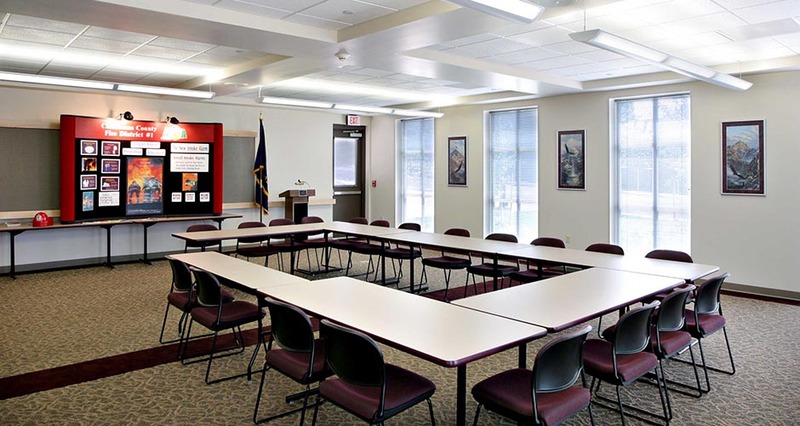 A meeting room with the capacity to seat 100 people is available for District and community use.